With just three days remaining in the Illinois legislative session, Exelon and Commonwealth Edison have stripped several problematic provisions from a comprehensive energy bill, including mandated residential demand charges. ComEd initially backed legislation to impose demand charges on residential customers in March 2015, arguing the change was necessary to fairly allocate costs among customers using the grid. After failing to advance in last year’s session, the demand charge proposal was taken up again in a sweeping energy bill introduced by ComEd and parent company Exelon in May. 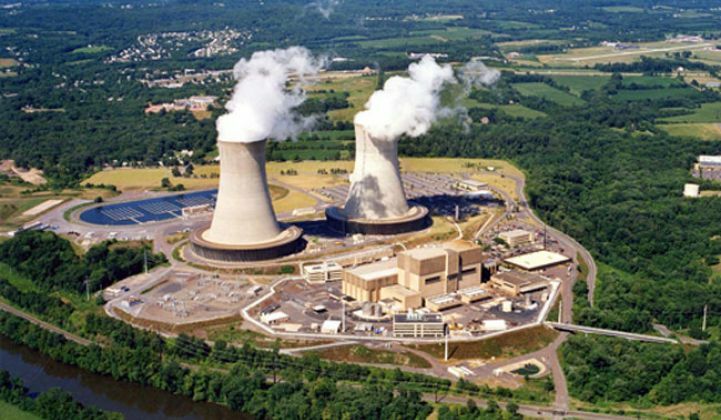 A core feature of the bill is the establishment of a zero-emission standard that would keep open two of Exelon’s struggling nuclear power plants at a cost of up to $265 million per year. Unless the bill passes, Exelon says its Clinton Power Station will close on June 1, 2017, and its Quad Cities Generating Station will close on June 1, 2018. The two plants have lost a combined $800 million in the past seven years. An updated version of the bill introduced this month -- dubbed the Future Energy Jobs Bill (SB 2814) -- proposed to also offer credits for coal-fired power plants in Southern Illinois owned by Texas-based Dynegy. The provision came as a sort of peace offering to end Dynegy’s opposition to the bill. Despite the coal funding, several consumer and environmental groups agreed to back the bill last week. The Natural Resources Defense Council, Sierra Club, Environmental Defense Fund, Faith in Place and the Citizens Utility Board highlighted the legislation's clean energy benefits, including new efficiency programs, steps to fix the state’s renewable portfolio standard and nearly $1 billion in programs for low-income consumers. The Future Energy Jobs Bill continued to see strong opposition, however. The BEST Coalition, an organization of environmental, consumer and business groups, calculated that the bill would cause a $24 billion rate hike. AARP, the environmental justice group Blacks in Green, The Alliance for Solar Choice and others argued that the demand charge would be particularly damaging for solar customers and customers on fixed and lower incomes. Then on Tuesday, ComEd issued a statement proposing to eliminate the demand-based rate provision to reflect feedback received from stakeholders. The proposed changes also include dropping the requirement for ratepayers to support Dynegy’s two downstate coal plants, although ComEd plans to “continue to address in earnest” the issue of how the legislation will impact competitive rates in Illinois. The plan to preserve Exelon’s Clinton and Quad Cities nuclear power plants remains intact. In addition, ComEd proposed reducing the number of utility-owned microgrids from five to three, over concerns from consumer and clean energy groups that ComEd was angling to make microgrids a monopoly service. The changes also expand rebates for community solar, and commercial and industrial solar installations. 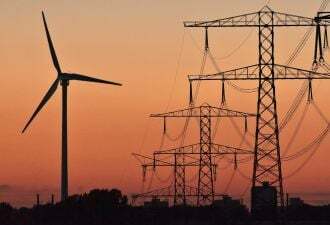 Changes to the legislation came less than a day after Republican governor Bruce Rauner’s office commented on the Future Energy Jobs Bill for the first time. In a November 21 memo published by the Illinois blog Capital Fax, policy advisor Jason Heffley harshly criticized ComEd’s demand charge proposal. “These are not demand rates, these are insane rates -- and they should be rejected,” he wrote. Heffley said the administration had also received complaints from some of Illinois’ largest employers over projected energy cost increases. Solar companies cheered ComEd’s decision to drop the demand charges. The latest revisions would allow retail rate net metering for solar customers to continue up to 5 percent of ComEd’s peak demand. The utility previously sought to lower the net metering compensation rooftop solar customers receive for excess generation to just the energy portion of a customer’s rate, amounting to less than 4 cents per kilowatt-hour. Eventually that credit would be replaced with an up-front rebate. Amy Hart, spokesperson for The Alliance for Solar Choice (TASC), said that maintaining the existing 5 percent net metering cap offers a fair amount of runway for installers, given that there are currently fewer than 1,000 rooftop solar customers in Illinois, representing just one-tenth of one percent of the cap. But there are other lingering concerns. “There may still be important tweaks needed to the bill, including ensuring a full stakeholder process at the Commission when the 5 percent net metering cap is reached to guarantee a fair valuation of the benefits of rooftop solar, ensuring distributed solar can continue to thrive, creating job opportunities and improving Illinois’ environment,” she said. Once net metered systems reach 5 percent of peak demand, ComEd’s latest proposal would move new solar customers to an energy-only net metering credit and offer a rebate based on locational value. However, to receive the rebate, customers would be required to install a smart inverter and give control of their solar system to ComEd. TASC wants to see the utility control provision removed. Despite making substantial progress at the eleventh hour, the Future Energy Jobs Bill continues to see opposition, including from groups that view support for Exelon’s nuclear plants as a “bailout," which sets a troublesome precedent as more reactors become uncompetitive. Other stakeholders, including Ameren and industrial customers in Illinois, oppose the bill’s more stringent energy efficiency targets. However, after more than a year of negotiations, many stakeholders now finally see a path that allows the legislation to pass with just three days remaining in the Illinois legislature’s veto session, which ends on December 1.